So I thought I had set up this post to automatically post on Wednesday but I came on her and nope. All I did was save it. So here it is some pics of the ‘valentne expostion’ I had mentioned in the last post. 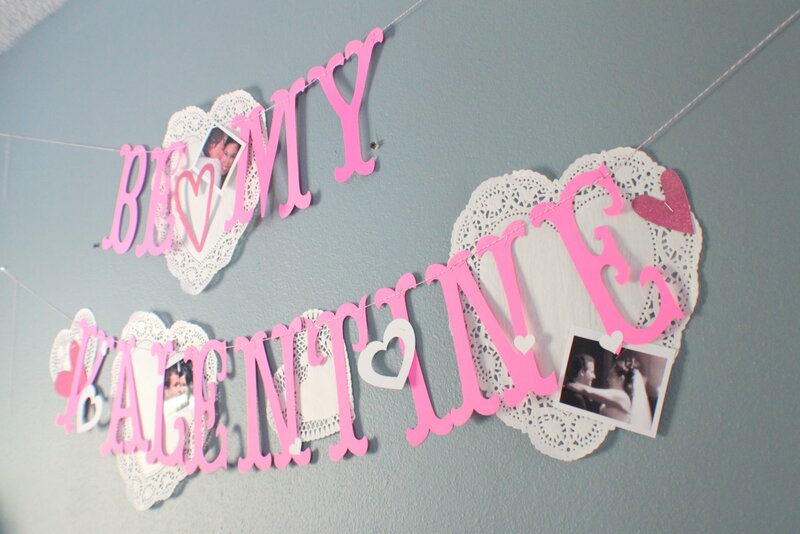 The banner I made to hang over our bed. 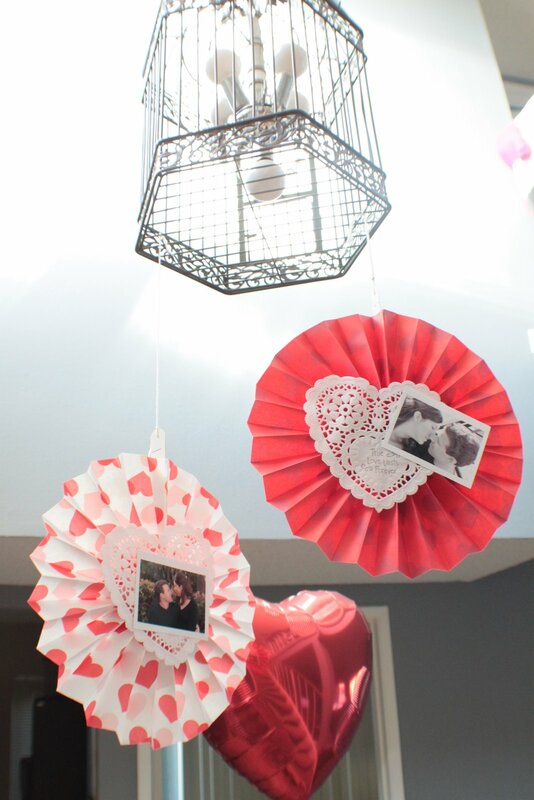 I also put some heart balloons in there. This is our fort. 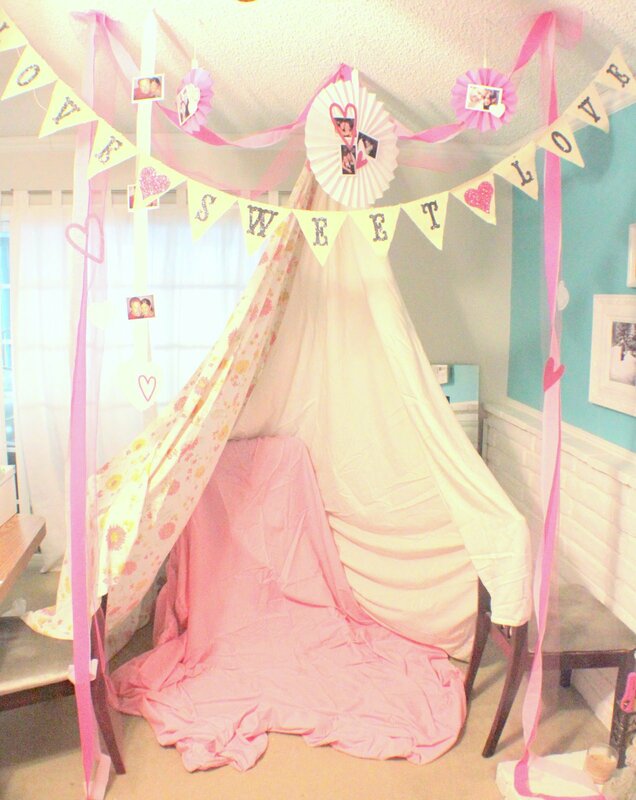 Now I totally remember why I loved forts as a kid. It’s so cozy! We ate our pizza and enjoyed our fondue in our fort. It was right next to the fireplace so we stayed warm while watching our fave show, The Big Bang Theory. I printed out my favorite pictures of us from the whole time we’ve been together and used them to decorate the house with. It was fun looking at them and reminiscing about the last 10 years. 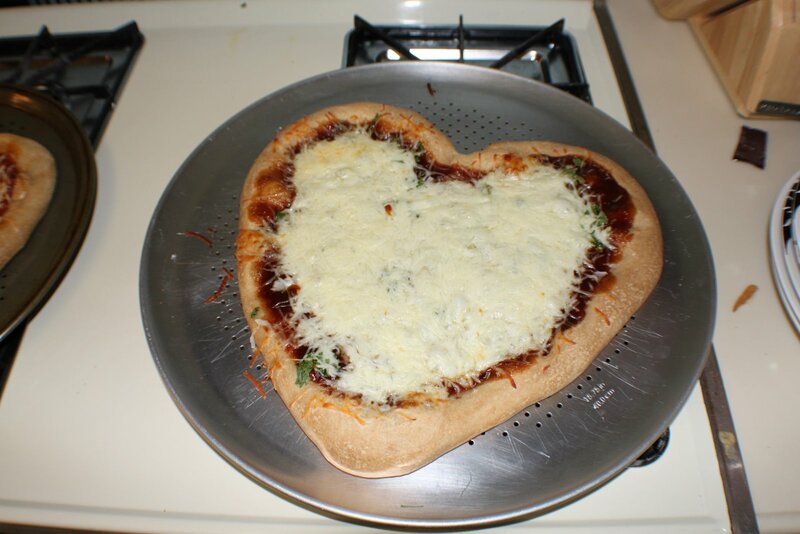 Heart shaped BBQ pizza. So yummy!!! 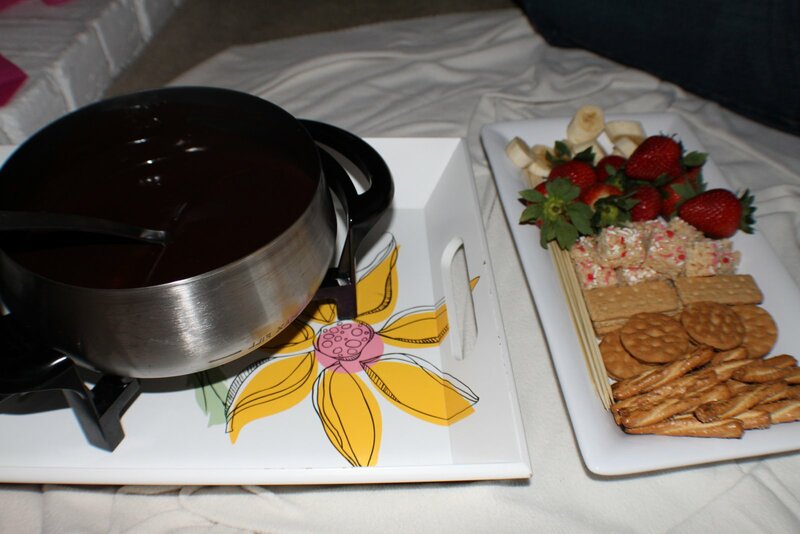 This was the first time I made chocolate fondue at home and let me tell you it was SO delicious. I think I’m leaving the fort up for a while 🙂 I hope everyone had a wonderful Vday!